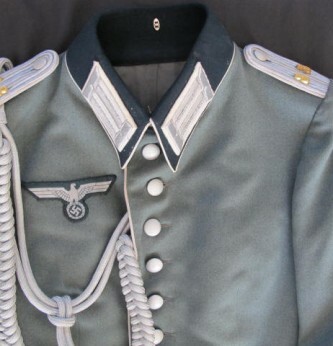 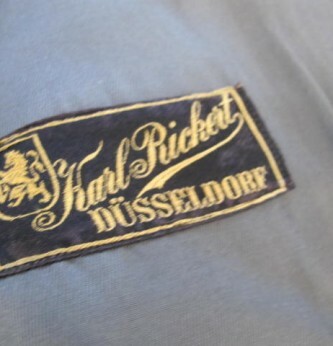 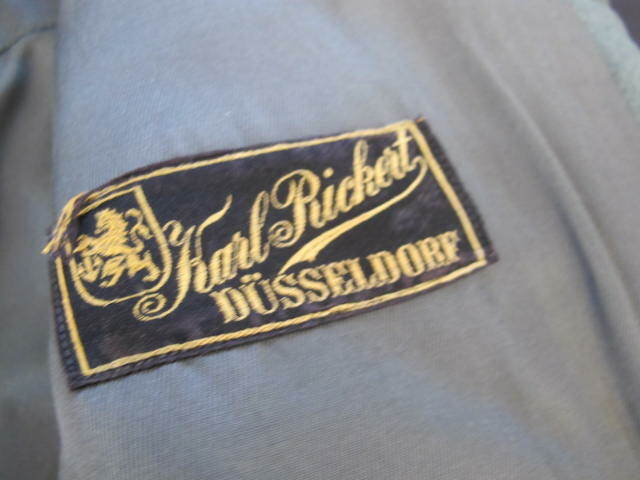 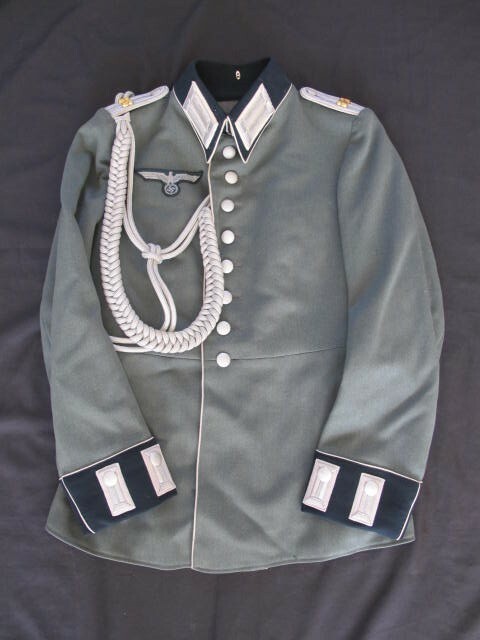 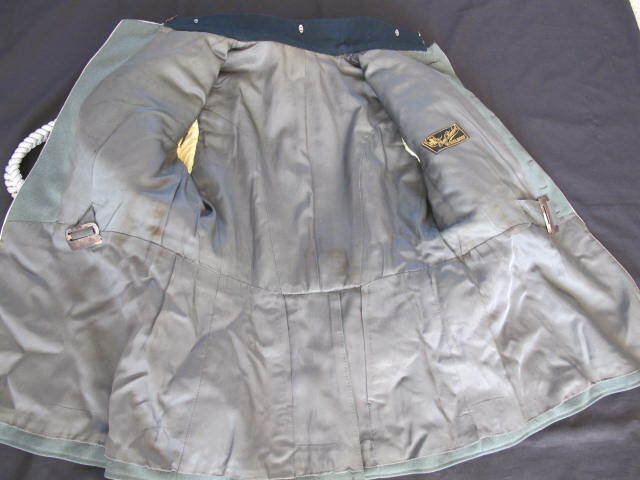 88th Infantry Regiment Third Reich Army Officers Parade Tunic. 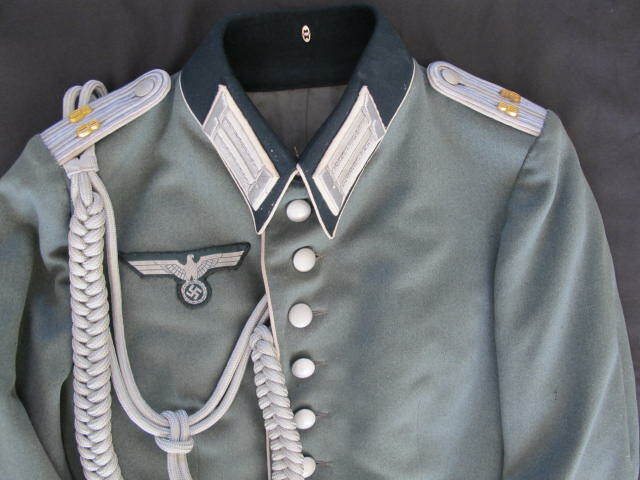 White piping to front with bullion collar and shoulder straps. 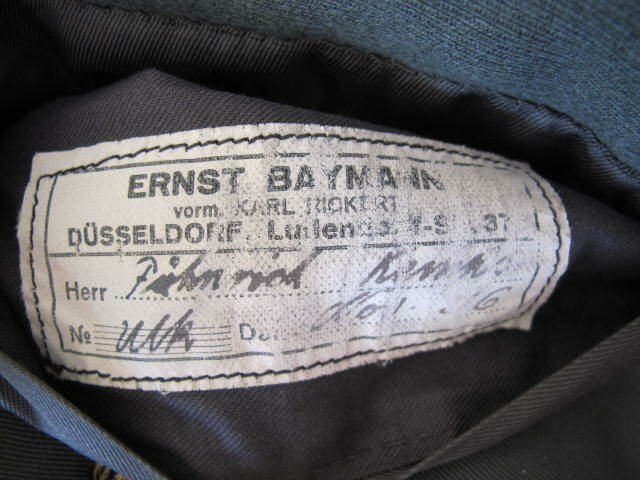 Gilt 88th unit numbers to shoulder straps. 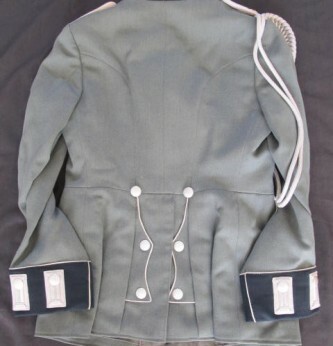 Comes complete with its parade aiguillettes. 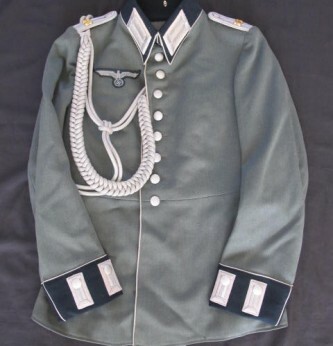 Whole uniform in excellent condition and complete with all buttons and turn back cuffs. 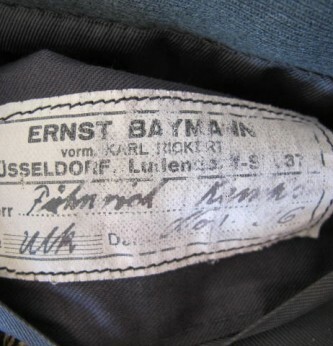 Tunic has silk lining with makers label and original owners name to pocket (feint but possibly able to research). 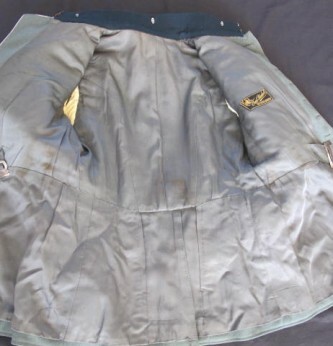 Approximately 38 inch chest. 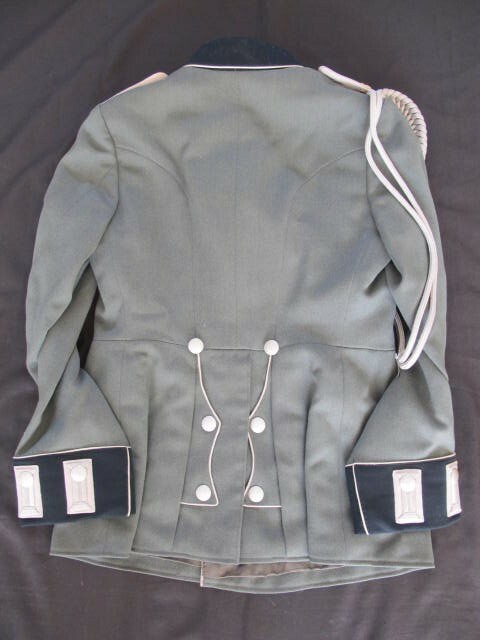 An impressive tunic.